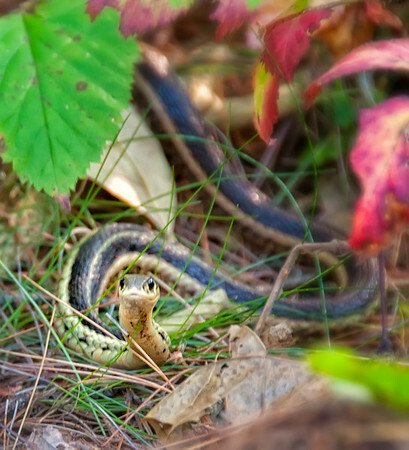 Saw this little guy in the leaves while at the Muskoka Wildlife Center. My wife Junli was feeding the baby a couple of meters behind me, she hates snakes so I told he I was taking photos of some cool looking leaves. I didn't tell her there was a snake in the leaves till we were safely back in the car.